This labour saving compactor crushes card and general waste neatly into plastic sacks. The pre-set pallet under the sack makes for simple waste removal. Waste is stored hygienically and tidily ready for collection. 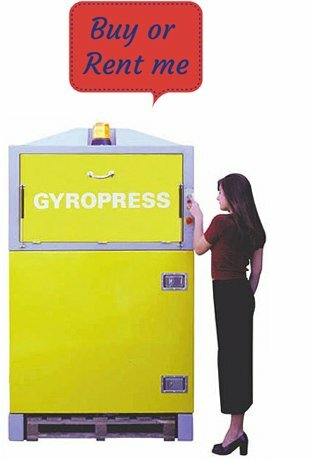 The KK Gyropress can be purchased or hired on variable terms. Please contact us for further details.